The video game industry has been known for giving the term “release date” an ambiguous meaning. Often the release dates that game studios exclaim to gamers everywhere ends up shifting to some undisclosed location in the future. On that note, Activision confirmed today that Deadpool has received a Summer 2013 release, and I’m not sure whether to be happy or cautious about that. High Moon Studios has unleashed dozens of screenshots that show Deadpool in action, but they have yet to show full gameplay. The team still has around six more months of development time before their target launch date, but not being able to see the game in action worries me. 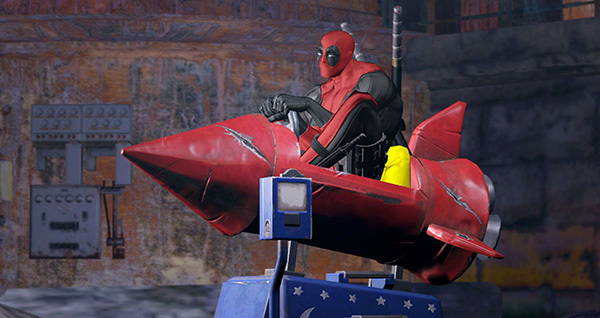 I want to see Deadpool in action, and feel a reassurance that the core gameplay is already in good shape. Too many gaming titles suffer from a lack of polish that prevents a good game from becoming a great game, and an awesome experience. Of course, demos that look great do not necessarily reflect the final product being better. I’m looking at you Aliens: CM. High Moon Studios has their hands full with being able to exceed fan expectations. The “Merc With A Mouth” has a very loyal following that will be able to instantly tell whether or not the character on screen is the one they have grown to love over so many years. Surely, the studios’ experience with the Transformers franchise has given them a greater skill at adopting a property into a game. With six months left, though, only time will tell. Deadpool is now set for a Summer 2013 release, and we want to know what your thoughts are. Do you think the game will release this summer, or is a lack of on-screen gameplay an early sign that we are just getting our hopes up? Let us know what you think in the comments below!